Don’t be misled and drawn to inferior roofing products and services that are non-conducive to mid-century modern roofing and architecture. Our team of expert project managers are fully trained and experienced in guiding you through the full array of improved options for your mid-century modern roofing, insulation and solar design. And as the former Residential Roofing Contractor of the Year nationwide in 2011, we feel confident in saying that we know a thing or two about quality roofing and solar installs. As any Eichler or Cliff May home owner will tell you, the roof is one of the single most important features in protecting the unique attributes of these properties. Renovated with proper rigid poly-iso insulation and a complete, Energy-Star rated cool roof such as IB Roof Systems, a mid-century modern homeowner can see improved sound quality and drastic savings in their annual heating and cooling costs, all while maintaining the timeless architectural design of the home. 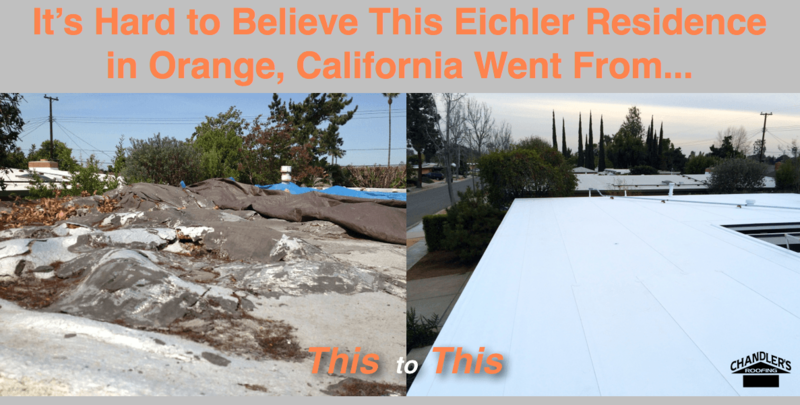 Take this recent Eichler roof revival we completed in Orange, CA as an example. 80 mil, single-ply PVC IB Roof System we recently completed in a little known Eichler community in Orange, CA. This was a mammoth project as we tore off the old, leaking and dilapidated foam roof, replacing it with an 80 mil, single-ply PVC IB Roof System and new 3 inch rigid poly-iso insulation. Much of the redwood T&G ceiling, along new Eichler wood siding were replaced on several parts of the house.  This roof now carries a full 25 year NDL manufacturer's warranty covering the complete roofing system along with workmanship and labor. It turned out beautifully!